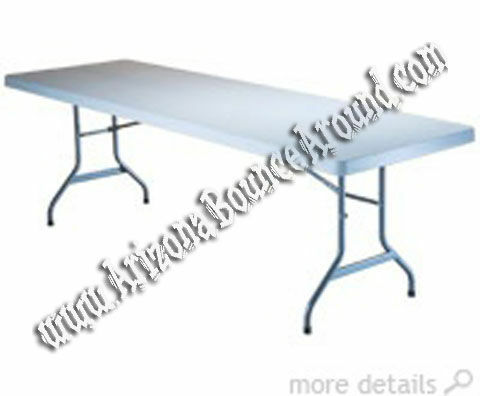 Arizona Bounce Around rents 8' tables for any event and are available for customer pick up. Pick up your 8' table for no additonal charge! Perfect for weddings, birthday parties, block parties, church functions, and school carnivals. Don't forget to check out our extra wide white chairs to go with.